Weight Load Capacity Rated and tested for 1000lbs (450kg) in the flat position. 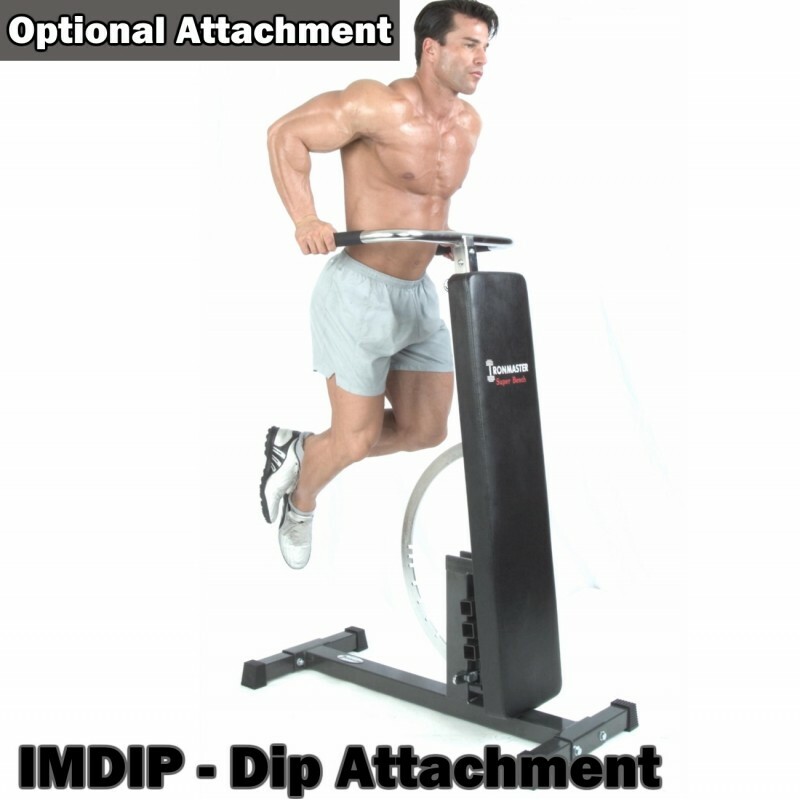 600lbs (270kg) rated for incline/upright positions. Colour Metallic grey powder coat frame with chrome components. Warranty Ironmaster offer a 10 year warranty frame warranty (excluding paint or plating) for their benches, machines and optional attachments. 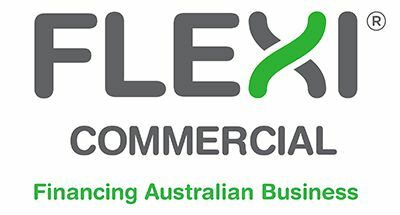 The pads, cables, pulleys and upholstery are covered by a one year warranty. The Ironmaster warranty is for domestic use. Construction 11 & 12 gauge super strong steel frame. 44” x 10” x 3” thick commercial grade pad and stitched vinyl upholstery. 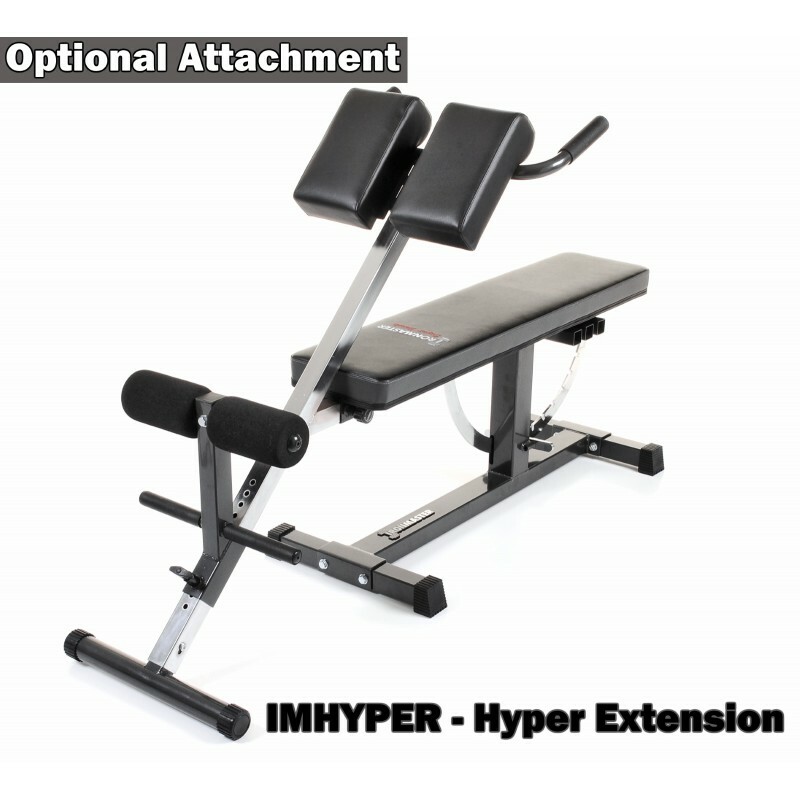 The Ironmaster Super Bench is not only a high quality weight training bench, the addition of the many attachments transforms the bench into a multi gym with minimal space. 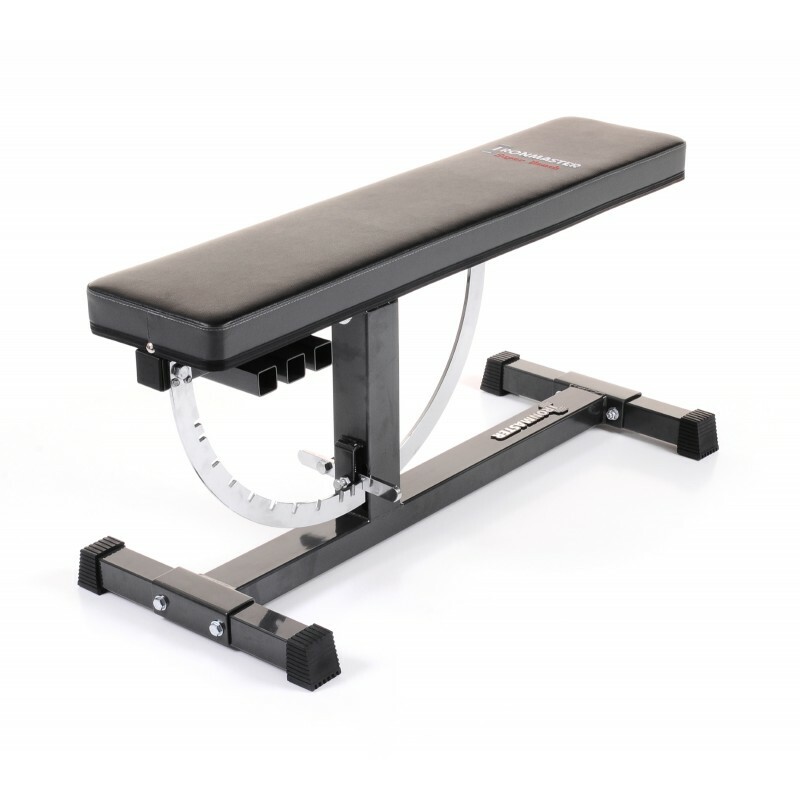 The Super Bench’s compact footprint and extensive features make it the ultimate bench for any weight training application. 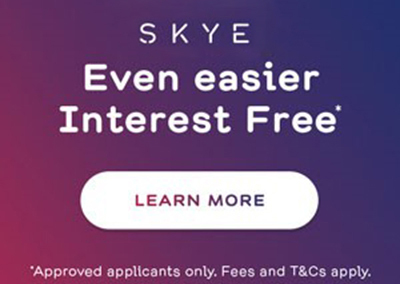 Ease to use - Decline to Incline in Seconds! 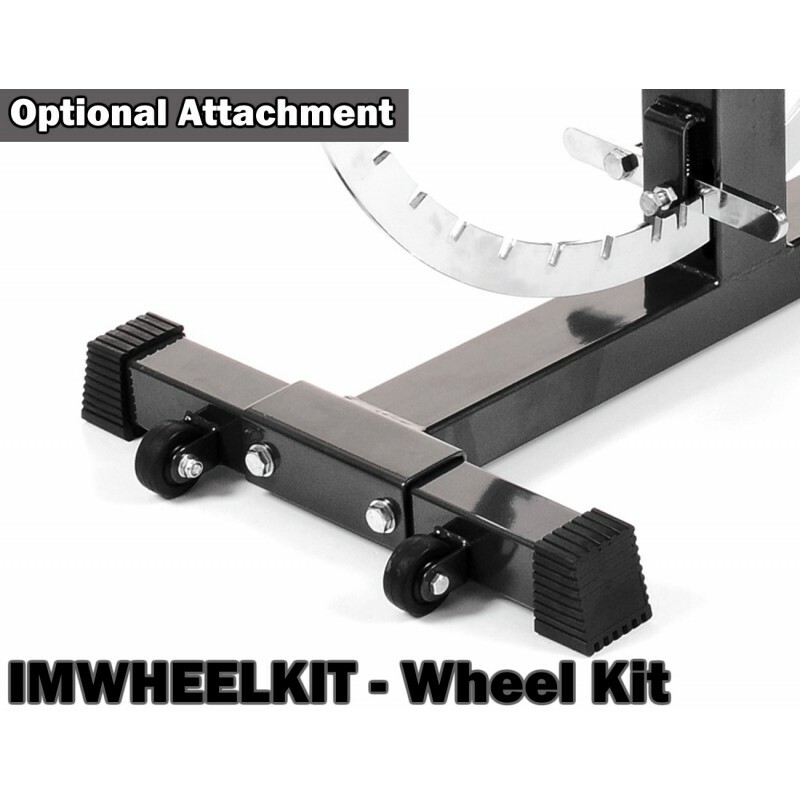 Patented adjustment ring with foot lever that can be adjusted from both sides. 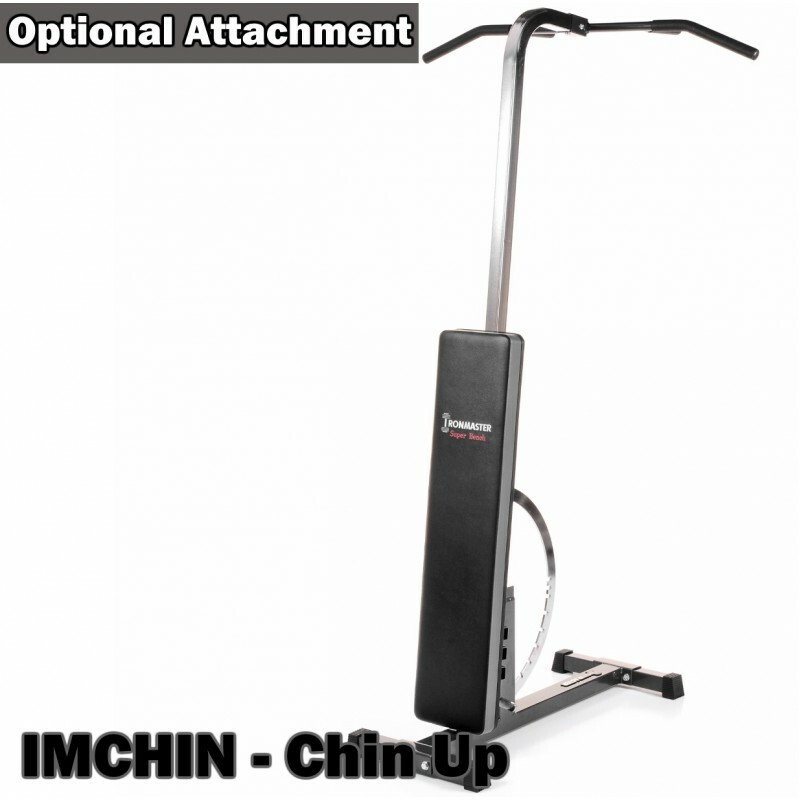 Very easy to change between the 11 flat, incline, decline and upright angles. 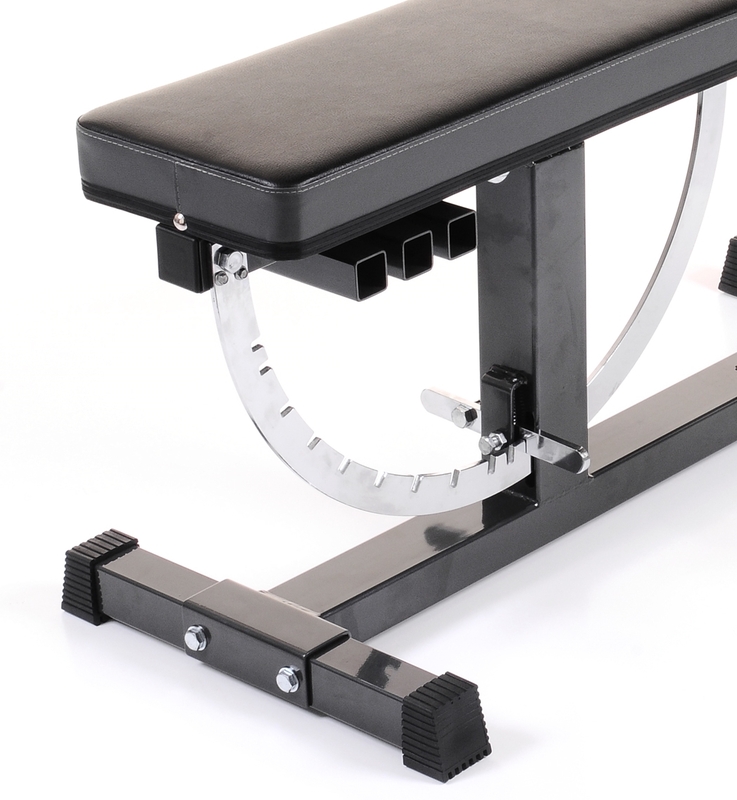 The Ironmaster Super Bench can be changed rapidly between the 11 lock out angles - Inclines, Declines, Flat and Upright. 0, 10, 20, 30, 40, 50, 60, 70, 75, 80 in actual degrees. The seat section slides out giving you a flat bench. When you are hitting the weights hard your bench will cop a beating. When benching or shoulder pressing heavy weights you would want to focus on the exercise and the form and not on the bench breaking on you. 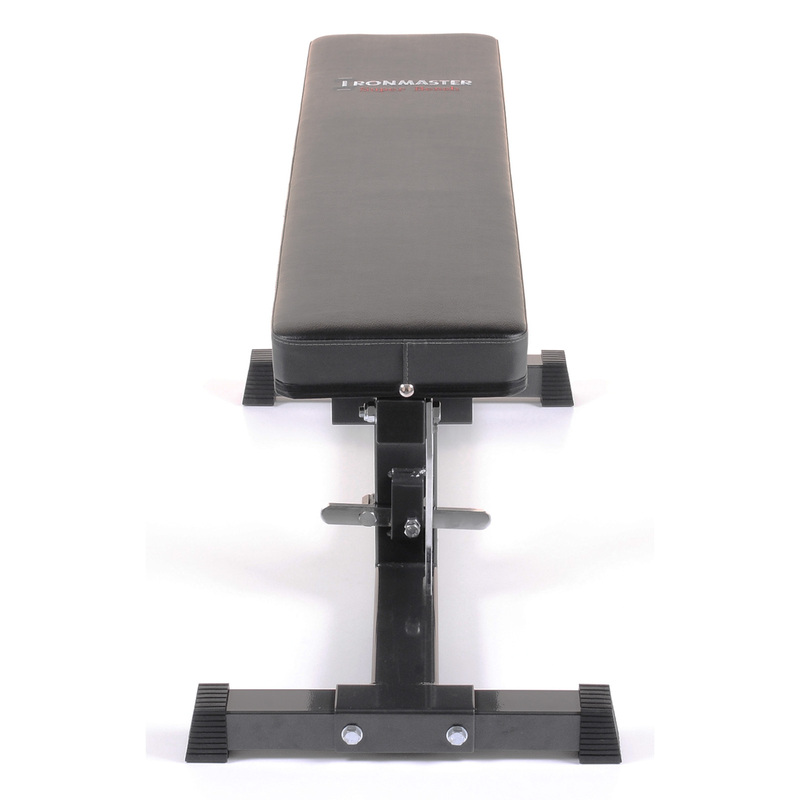 The Ironmaster Super Bench is constructed out of 11 & 12 gauge steel, powder coated in smart metallic grey and comes with rubber feet for maximum stability. At 32 kgs, super bench might seem like a light weight compared to some of the Barbarian benches. 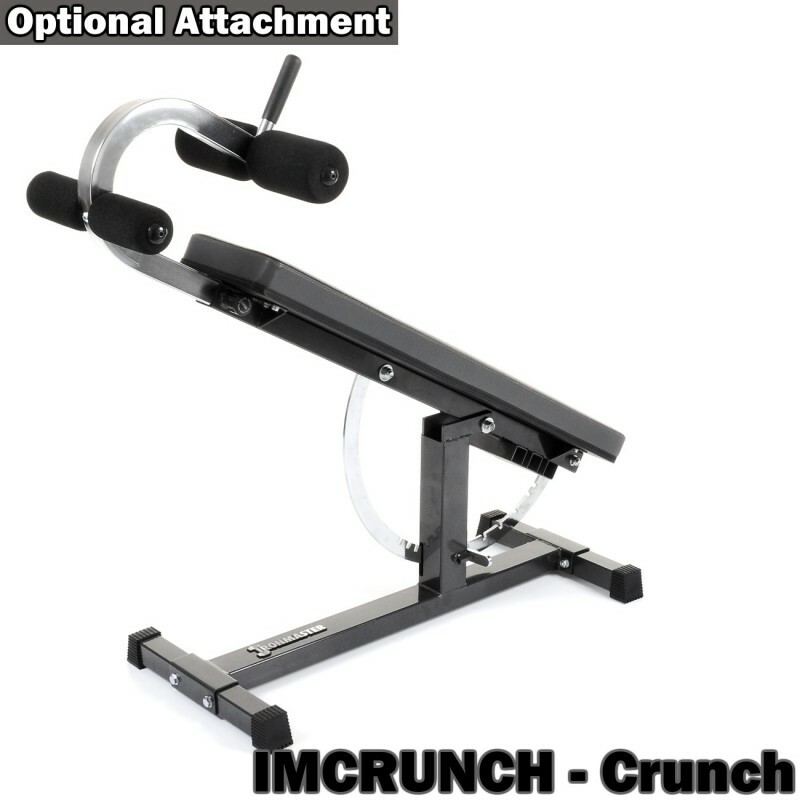 But don't let it fool you, it has been tested and rated for an impressive 1000lbs (450kg) in the flat position and 600lbs (270kg) rated for incline/upright positions. 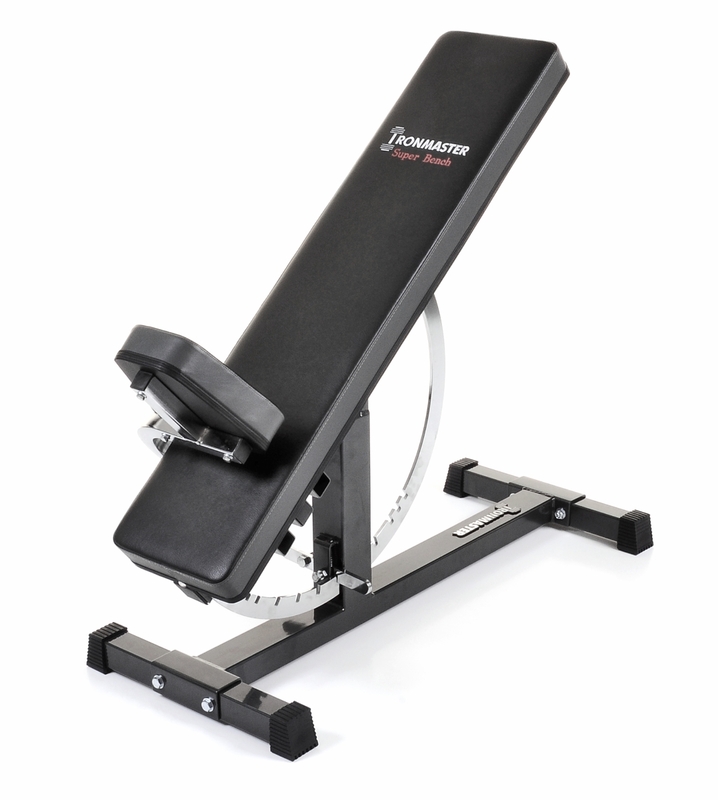 The Ironmaster Super Bench is a best seller in the US market where it has been sold for years. 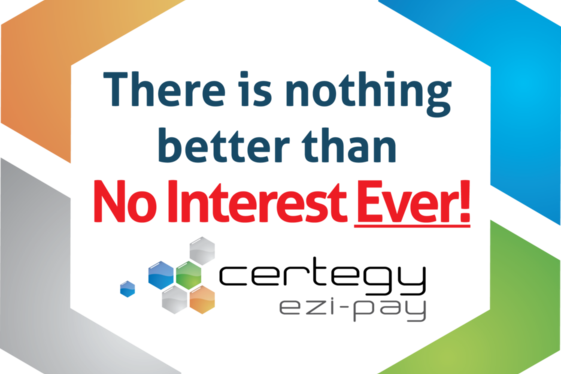 One of the reasons why it has been so successful is it's comfortabe and durable back rest pad. Cheaper benches might offer similar load rating, but they cannot match the quality and durability of the Ironmaster Super Bench. It comes with a thick commercial grade padding and stitched vinyl upholstery. This makes the bench more firm and comfortable for those big lifts. The seat section is tapered for the incline and upright positions. Please note the height of this bench is slightly larger compared to your Powerlifting type benches. 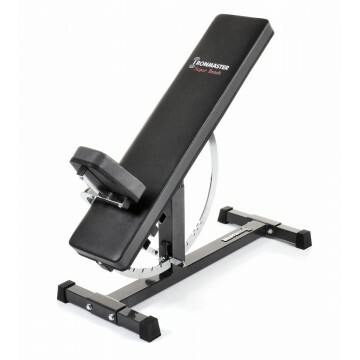 Ironmaster Super Bench Height in flat position is 52 cm. 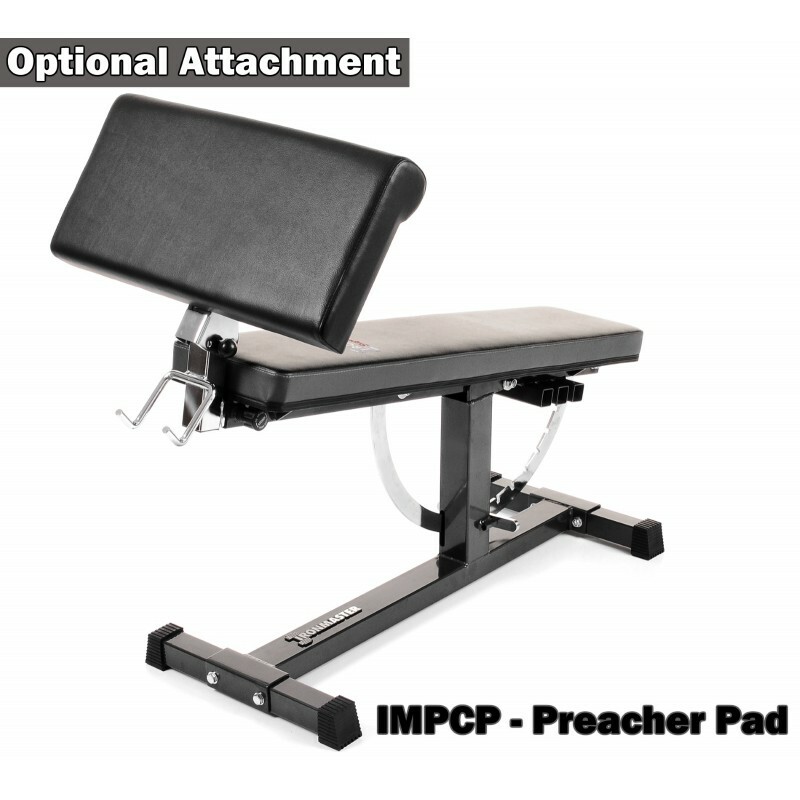 Finding a compact home gym bench can be a daunting task. Ironmaster Super Weights Bench design offers extraordinary stability for it's size. Both back and front support pieces do not stick out, reducing the footprint of the base to mere 104cm x 43cm. 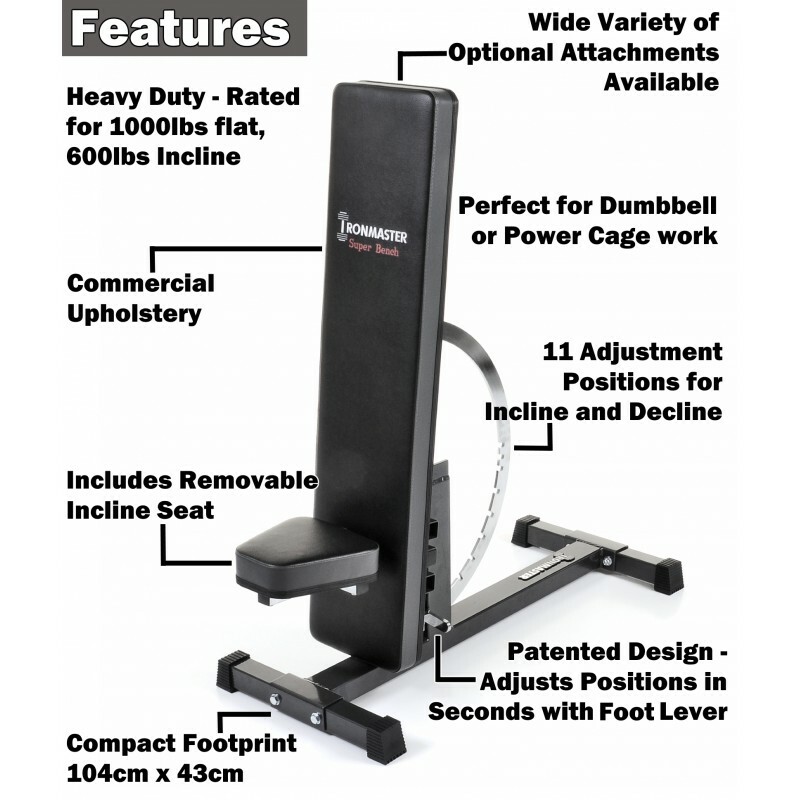 Making it perfert for any home gym or studio who wants to utilize their limited space. Build your gym around one bench!